Gorgeous and very well renovated post and beam BEAUTY on approx. 10,000 sq.ft.lot (approx.1/4 Acre). BONUS !! HUGE 36' x 26' (940sq.ft.) 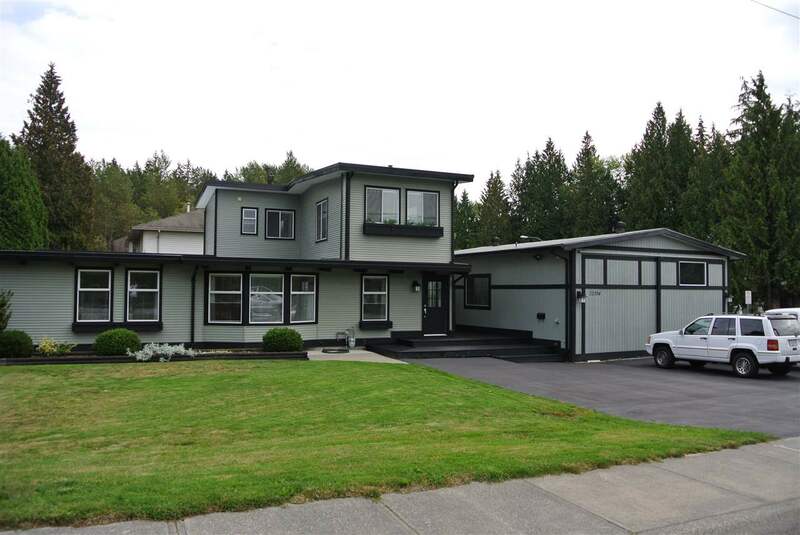 DETACHED HEATED GARAGE/SHOP with 11 FOOT CEILINGS and 2 separate accesses. (Interior walls can be removed) Super open concept living with main floor Master Bedroom and dream walk in closet. Very tasteful upgrades include kitchen with granite counter tops, Jenn-air cook top and wall ovens, roofs, siding and trim, designer paint, high efficiency furnace, custom lighting, 2 blinds, awesome covered patio for extended outdoor living, hardwood floors, all bathrooms and much much more! Newer fence in private landscaped yard. Parking for 10 cars, any size R.V. or boat. Lots of windows and natural light on both levels complete this great home. MUST BE SEEN ! !